Day three of the Festival was simply a blur for me, so I didn’t manage to get to my computer. However, it was one of the best days I’ve ever spent at the Festival! The day started early with an author pick-up at 7:45 am. I took Nancy Wilcox Richards to Frank L. Bowser School where I had arranged for two students to interview Nancy (with a reporter from CBC’s Information Morning) on her new book on bullying. The kids were so excited! They were both convinced that they will be famous as a result of the interview. (The cult of celebrity starts early!) She then met with three Grade 3 classes and chatted with them about the writing process (she even made them edit a page!). From there I was fortunate to spend some time speaking with Guy Gavriel Kay, who is a new discovery for me. What a brilliant mind! Guy was to be the keynote speaker at a YMCA Literacy Luncheon so when I picked him up, I reminded him that he would be speaking (he didn’t have anything with him). He said, “Oh, I don’t believe in making notes before I speak, I like to wing it, it keeps me sharp”. Well, was he ever sharp! He had a brilliant talk for the high school students (who have committed to tutoring younger students two days a week after school for the entire school year). He spoke about the one room schoolhouse tradition of the older students teaching the younger ones and how something has been lost in our current system. The students loved him. (The reports back from his high school visit at Moncton High have been stellar: once again he walked into the room, asked the teacher what she was teaching (Victorian poetry) and proceeded to incorporate that into his chat with the students. One of the students in the class had read everything he had written and almost fainted when she heard that he was coming to her class!). From there I briefly attended Beth Powning and Robert Moore’s great chat and then raced to Dieppe where we had a beautiful event at the restaurant L’Idyll, a gorgeous old house (the oldest standing building in Dieppe) where French novelist Martin Winkler spoke to a full house (we had to turn away many people…always a heartbreak for me!). And then, I raced back to Moncton for my absolute favourite event: Café Underground. Every year this event just gets better and better. French and English high school students come together at The Empress Theatre to present their own poetry, prose and songs. This year, for the first time ever, one of the students presented a reading of a play she wrote. It was excellent! The calibre of the students’ writing is fabulous. In the afternoon, the students all met with a journalist (Jesse Robichaud, our Poet flyé), a musician, a music industry insider and a theatre professional for workshops. On occasion I do wonder why I do what I do, since this is my 11th year of volunteering full time, but hearing the comments from the students last night about how important this event is to them, how much they look forward to the Frye Festival and how much it inspires them, I think I have enough fuel to go on for another 11 years! One of the students came up to me afterwards and asked me to sign her program. She had tears in her eyes as she told me it was her last year at the Festival – she had presented work for the last five years, but is in Grade 12 and going off to University next year. She told me that presenting every year at the Frye Festival was the highlight of her high school life. Wow. I told her that I couldn’t wait to invite her back as a published author! I’m not sure why, but this year I’m kind of overwhelmed with the realization of the profound impact that this Festival is having on so many lives. I’m still not entirely certain how to articulate it (but I hope I can by Soirée Frye tonight!). Better go find a replacement author to give a workshop on Saturday morning at KidsFest and pick-up Fred Stenson at the bus station! This entry was posted in Frye Festival on April 22, 2010 by Guest Blogger. Yesterday at 4pm I introduced Beth Powning, novelist, and Robert Moore, poet, and then, with about 40 others, enjoyed a lively and intimate conversation. What sticks with me is their discussion of the false starts that each of them took in their writing career. Beth, when she first moved to Canada from the U.S., tried writing short stories and, as she said, almost killed herself in the process. Slowly she found her way, with a book of photographs accompanied by text, and several other kinds of writing, including a memoir Shadow Child, until she came into her own as a novelist. Robert spent ten years writing plays until he realized he didn’t have the talent to create plots and his plays were all intended to set his characters up to speak poetically. After the conversation 8 of us, including Beth and Robert and their spouses, went out to dinner. Most pleasant. At noon yesterday Guy Gavriel Kay was guest speaker at the YMCA literacy luncheon; I wasn’t there, but I heard he was brilliant. He gave an extemporaneous speech that connected directly to the many literacy volunteers present. I had heard him Tuesday evening, in conversation, and found him to be brilliant and witty, especially on the subject of science fiction and fantasy being genres separate and stigmatized. There are two generations now, he said, of readers and writers for whom the stigma and the separation no longer apply. He was heard to say that he would’ve liked to stay longer at the festival. At noon I was at the ‘Frye Symposium’ roundtable on “Voyaging into the Unknown in Folk Tales and in Dreams.” The four panelist (3 storytellers and folklorists, and 1 Jungian scholar and analyst) all focused on the forest as the image of the unknown where magical, unusual, transformative things happen. Craig Stephenson talked about this in terms of Frye’s idea that “the fundamental job of the imagination in ordinary life, then, is to produce, out of the society we have to live in, a vision of the society we want to live in.” This vision, this transformation, this reaching for the golden dawn, only comes through the experience of loss, descent, ashes. For all four panelists the key moment is the moment when the individual finds herself lost in the forest. The storytellers all love this moment, because it gives them freedom to take the story off the beaten path. In this context, then, it was instructive for a member of the audience to rise and quote Frye, to the effect that the one great story, enclosing all others, is the story of loss of identity and recovery of identity, in the form of resurrection, golden age, etc. 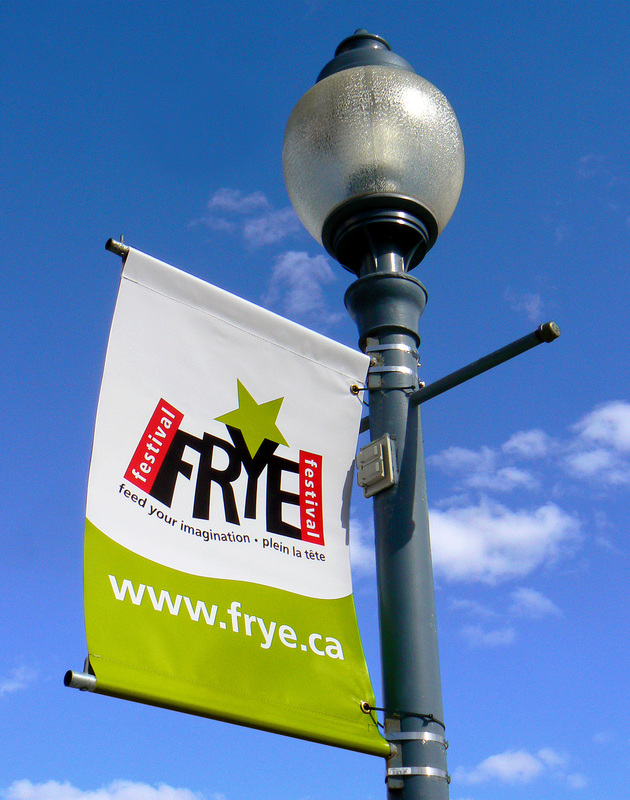 This entry was posted in Frye Festival on April 22, 2010 by Ed Lemond. 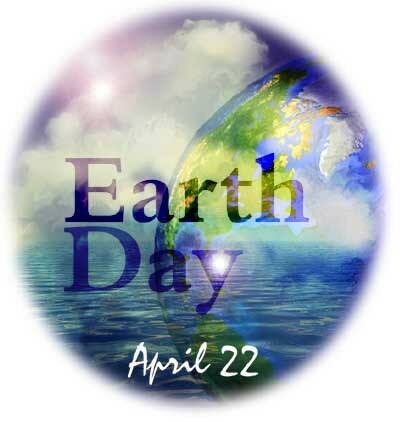 Today is the 40th annual Earth Day. Official site here. CBC News report, “Canada as Climate Villain” here. CBC News report, “How Green Are We?” here. Neither of these reports offers much depth, but do provide an accurate sense of how these issues tend to be framed in the mainstream media for mass consumption. This entry was posted in Anniversaries, Current Events on April 22, 2010 by Michael Happy. 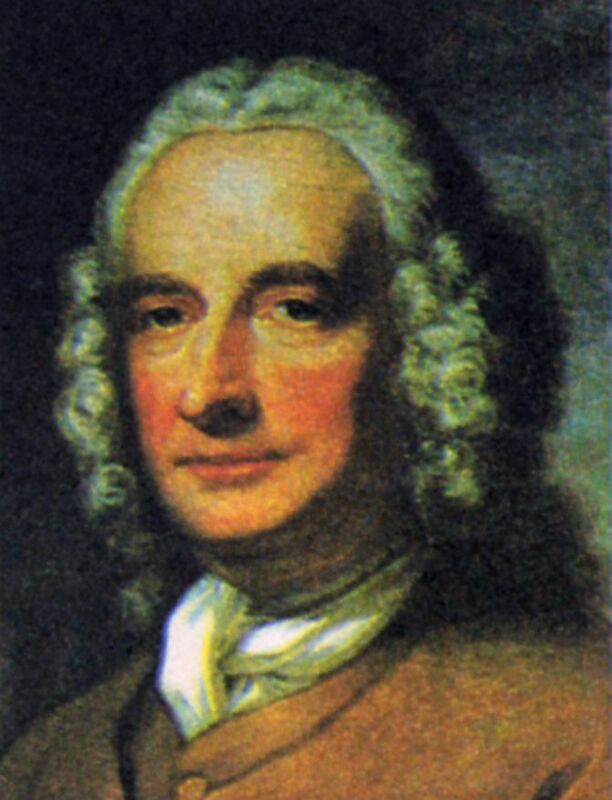 Today is Henry Fielding‘s birthday (1707 – 1754). This entry was posted in Birthdays, Notebooks on April 22, 2010 by Michael Happy.